How should I dress when I report to work? On the first day of an assignment, select a Business Professional wardrobe instead of Business Casual. You can always adjust your level of dress on subsequent days according to the jobsite standards. When is my timecard due? Timecards are due in our Tempe office every Monday by 8:00 a.m., signed by your Supervisor. Corporate Job Bank Personnel Services is your employer. What should I do if my temporary assignment is ending? 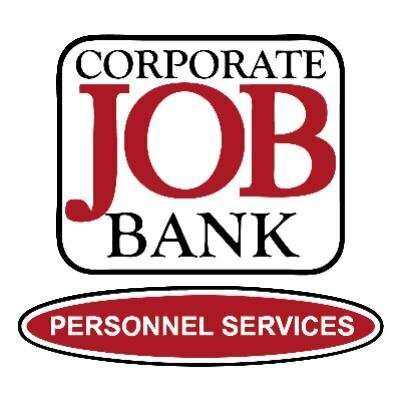 Contact your staffing coordinator at Corporate Job Bank to check in and let us know if you’d like to continue with another assignment. What should I do if my supervisor wants to hire me permanently? Your supervisor should be contacting Corporate Job Bank if they would like to change your status. You may also contact Corporate Job Bank to inquire about such a change. Who should I call if I am going to be late to work or calling in sick? If you will be tardy or absent make 2 phone calls. Contact the supervisor you are working with and your staffing coordinator at Corporate Job Bank. For more information regarding Paid Sick Leave, please visit our Employee Benefits webpage. What should I do when I finish all of my assigned work? Do not hesitate to ask for another project. It will show your supervisor you are motivated and have initiative. What should I take with me to my interview? Bring a folder with extra copies of your resume, references and a pen and paper to take notes. Have some questions prepared to ask at the end of the interview. Remember, dress professionally. Will I be hired by the company I am currently assigned to? Not necessarily, but Corporate Job Bank has many temporary assignments which develop into an offer of permanent employment. Do good quality work, arrive on time, and show initiative, and you will have an excellent chance of being hired full time. Does Corporate Job Bank have any benefits for its associates? Please see our Employee Benefits web page and Corporate Job Bank’s Employee Handbook for details about employee benefits.